Today, the Arena Football League (AFL) officially unveiled new uniforms for their 2019 season during a press conference at the Capital One Arena in Washington D.C. For the custom design and production of the new uniforms, the AFL partnered with Phenom Elite, an up-and-coming manufacturer of high-quality uniforms and apparel. 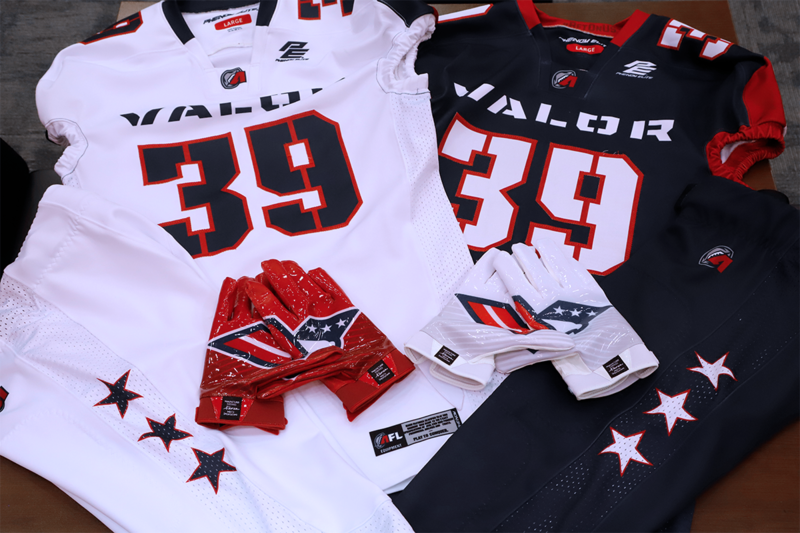 During the event, new uniforms were presented for all of the teams in the league, including the Albany Empire, Atlantic City Blackjacks, Baltimore Brigade, Columbus Destroyers, Philadelphia Soul and the Washington Valor. Remarks were also provided by Randall Boe, AFL Commissioner, Nathan Dorton, CEO of Phenom Elite, Ted Leonsis, CEO of Monumental Sports and Ron Jaworski, Chairman of the AFL Executive Committee. “Phenom elite has designed exciting uniforms for the AFL that fit perfectly with the league’s fast-paced, exciting, high-scoring games,” said AFL Commissioner, Randall Boe. Teams had the opportunity to design their respective uniforms in a distinctly unique manner, incorporating their own original concepts. To ensure long-lasting quality, the new uniform designs were all dyed directly onto the jerseys and pants to prevent cracks, peels or fading. The unveiling of the new uniforms coincides with the AFL’s recent push to become the most innovative league in sports. With a strong emphasis on delivering a high-quality, action-packed entertainment experience for fans, the league continues to expand its reach and fan base. The AFL’s 32 nd season officially kicks off April 26th and 27th.